Photos by Jessica Cheij Photography. 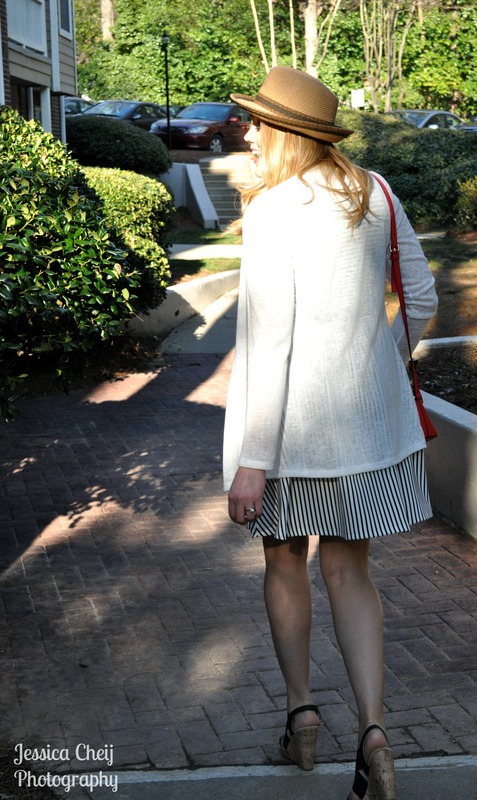 If you've been following my blog for any time at all, you've probably seen how much I love prints, stripes included. I'm sure many of you were told never to wear horizontal stripes because they will make you look heavier than you are, but that's simply not true. Admittedly, thicker horizontal stripes do tend to shorten your body, so they're not a great pick for most. Choose thin, latitudinal stripes to accentuate parts of your body that you want to show off. You can create a larger bust, broader shoulders, or even highlight an otherwise nonexistent waist (like mine) with stripes going across those areas. When the stripes on the top half of this dress meet the ones going lengthwise at my middle, it gives off the illusion of a smaller waist. 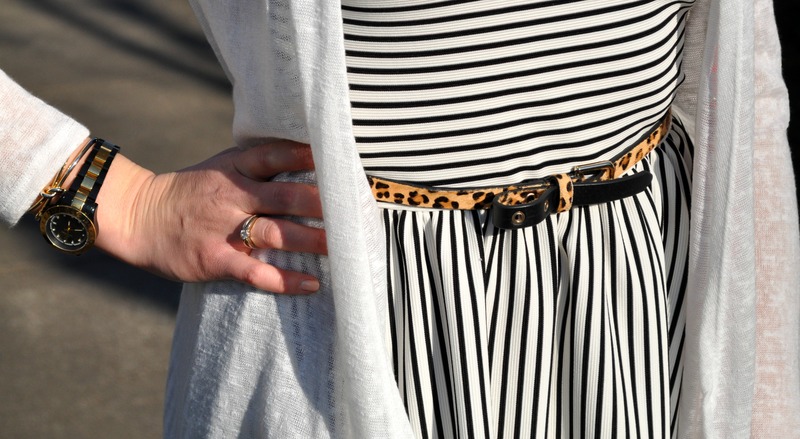 Add a belt to cinch it in even more, and you've got your most flattering outfit ever. And of course, always throw on some heels! I love this nautical look on you!! Nothing beats the pop of color from a bright bag, either.